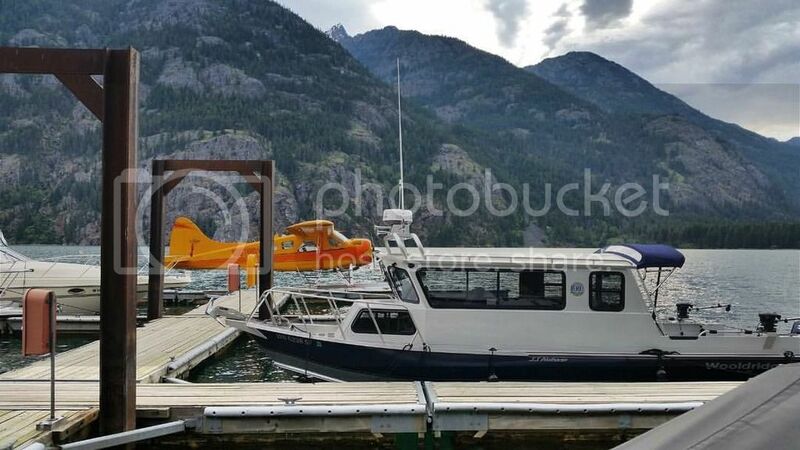 LOVING this photo of our friend @litchdog 's 26' #Pilothouse!! Great shot man!! Onward and upward buddy! Father and son duo, Scott and Hunter took advantage of a local northern Washington duck opener and just sent us this picture with their haul. Wow, nice work and glad you're loving the boat guys! Bob Wooldridge at 92 years old out with his son Glen making sure this 17' Alaskan has what it takes. One of the perks to building #fishing #boats is that once in a while you get an invite to go fishing with some very good #fisherman! 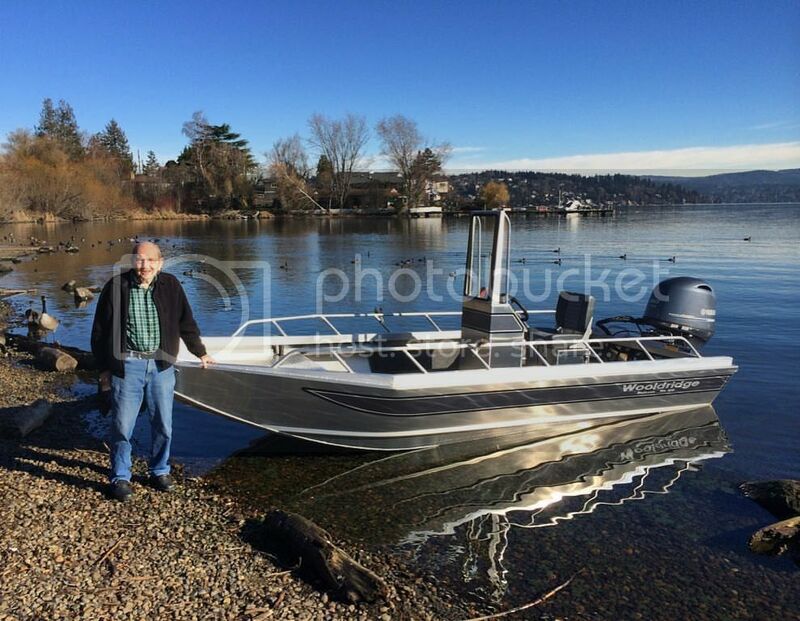 Well, a few years ago Richard Underwood Jr. who operates Assault on the Quinault guide service asked us about building him the ultimate #Quinault River #jet boat that would accommodate several #anglers and long #fly rods (spey rods). We thought heck yeah! 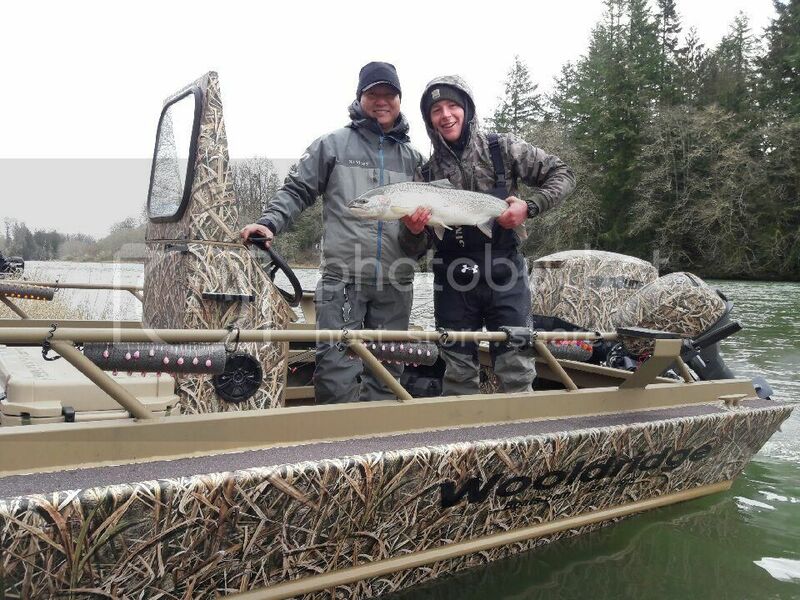 So, after details and configurations were discussed, Richie ended up with an incredible boat that he could operate in for all seasons whether fishing for #fall #salmon or #winter #steelhead. Richie has been super busy and extremely successful over his career and has made quite a name for himself, especially in the fly fishing world. 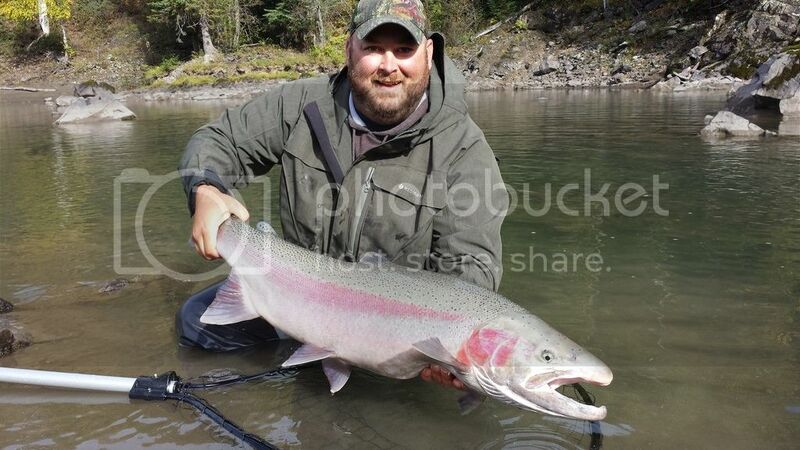 Knowing this, when Richie invites you to come fish the Quinault for its famous big #hatchery steel head, you don’t think about it, you just go! 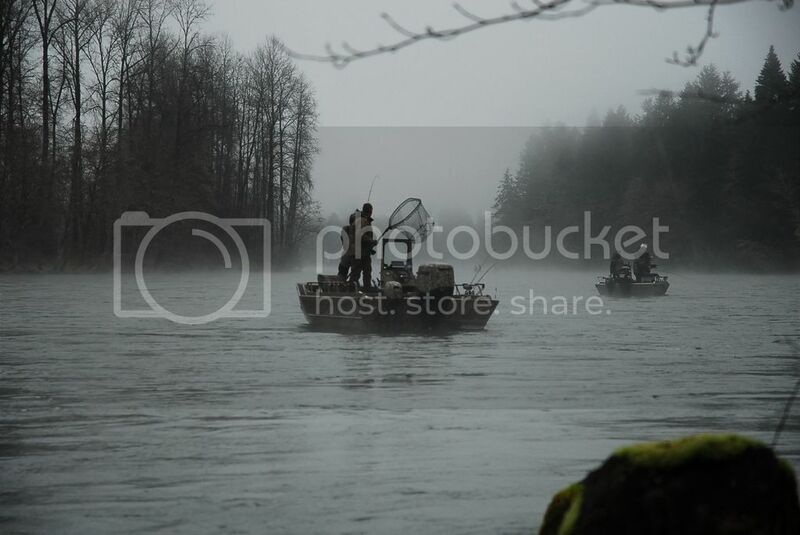 We planned a trip over to the Quinault with him and a few days before we were to fish, warmer temperatures, rain and snow melt nearly knocked the #river out of commission all together. Richie told us there would still be a slight chance of hooking into a fish or two so we decided to take him up on that opportunity. We all jumped in the truck and Grant Wooldridge, Jared Dunning, Danny Cook and Richard Ro were heading over, hades or high #water, literally! Richie was right and upon first glance, the river looked nearly blown out. With a foot to maybe a foot and a half of visibility to work with and zero #gravel bars, we stepped into his #Wooldridge #Alaskan XL and motored away from the ramp. If at all else, It would be a beautiful day anyway. We ran up river armed with floats and heavy terminal tackle for slow fishing close to the bank and first pass thru, bam! 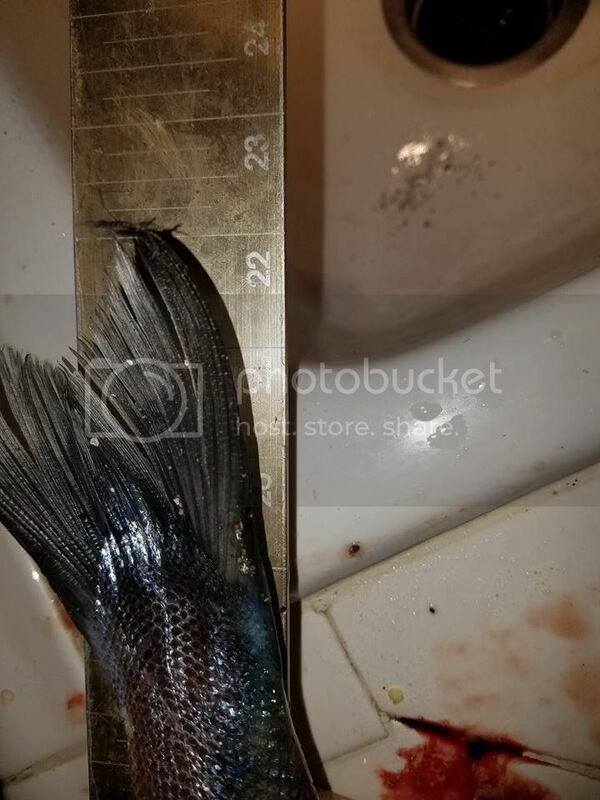 Danny was into a hot steel head that ran under an overhanging mess of #underwater branches where it miraculously came free and eventually was lead into the net. The skunk was not to be a part of this day and life was good. Next, up, drifting thru a slowish #tailout, Grant struck steel and pinned a hot #jumping #hen that while being a little colored from its long journey in the river, it still took the prize for best #fight of the day! She earned her stripes and Grant placed here back in the #water to do her thing. Grant then #hooked into a #chrome rocket that he claims was as long as his leg before it got the best of him and pulled free of the #hook, darnit! Jared was next and with the direction from our pro #guide and an extremely long #cast, another beauty hit the deck of Richie’s #Wooly! What an awesome day and surprisingly productive considering the adverse water conditions to contend with. We could only imagine what this day would have been like had Mother Nature decided to cooperate with our calendar. From the boys at Wooldridge Boats, a monster thank you is in order for taking us fishing. Richard Underwood Jr. is the man! 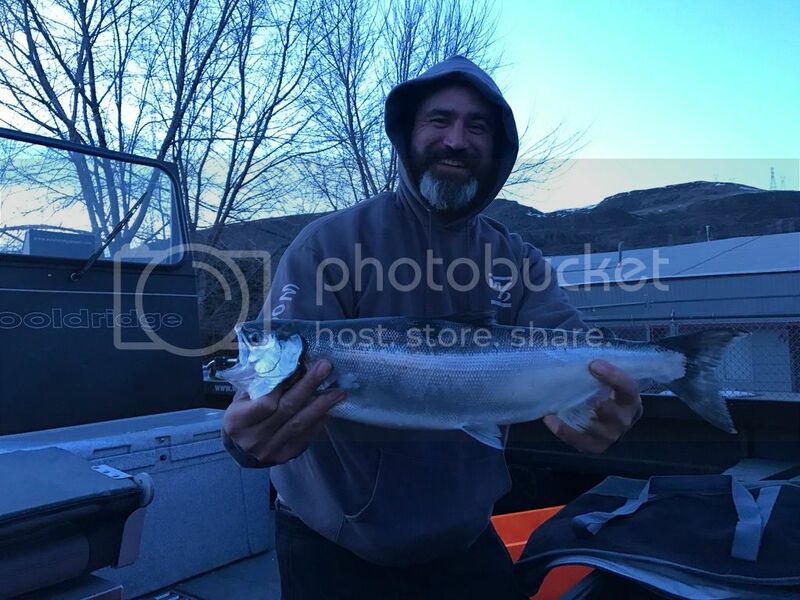 Richie can be reached at 360.590.6444 but don’t call him unless you don’t want to have a memorable day #catching big beautiful steel head that rival all others! 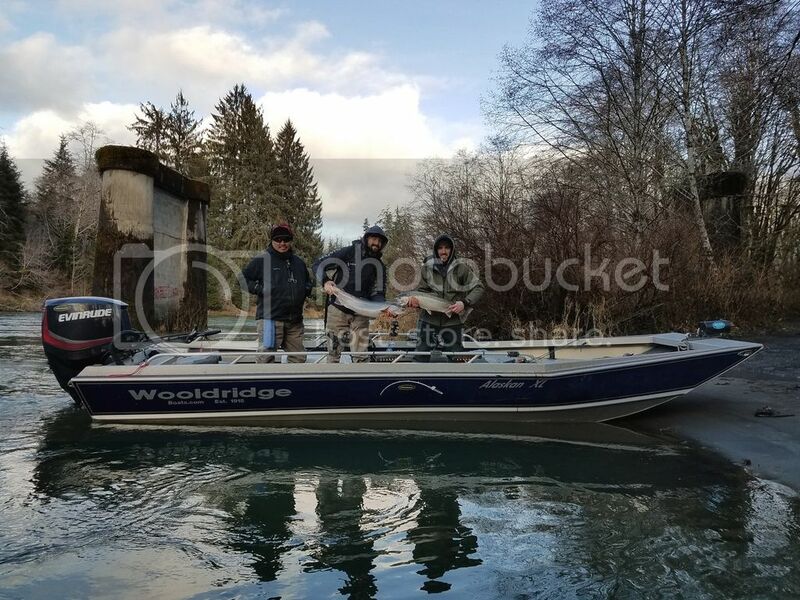 A few of us guys from #Wooldridge #Boats had the privileged opportunity to spend the day on the #Quinault #River with pro #guide, Richard Underwood Assault on the Quinault last week. It really was an incredible weekend because not only was there some great #steelheading to be had but it just so happened that the #WDFW decided to open the weekend up for some evening #razor #clam #digs! Sometimes everything just happens to work out because it also just so happened that our good friend Richard Ro had the perfect little get away cabin near the #beach! Hmmm… two Richards hooking us up on the same weekend. Okay, putting the cosmic coincidences aside, we had to of course share a few chapters of our outing. Last week we shared the day on the Quinault and this week, we’ll share a couple short #videos of how to get the #clams to open up as well as how to clean them before #cooking. In the first video, you can see the razor clams are poured into a boiling pot. What’s very important is you only want to keep them in the boiling pot for 5 to 10 seconds. Any longer and you will cook them which is not part of this process. After the 5 to 10 seconds is up, quickly dump the clams into a tote full of cold water. The clams will open up and the body will slip right out of the shell. From their, they need a little rinse and they are ready for cutting and cleaning! 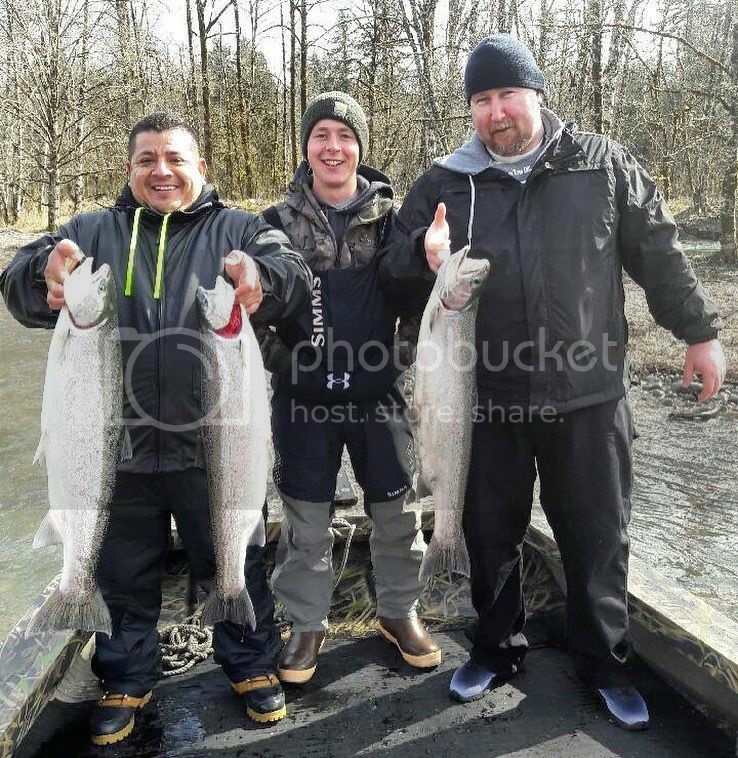 Big congrats to Jose (far left) and Mike (far right) who were able to get into their first #steelhead ever with the help of Wally Johnson and son Donovan (center). 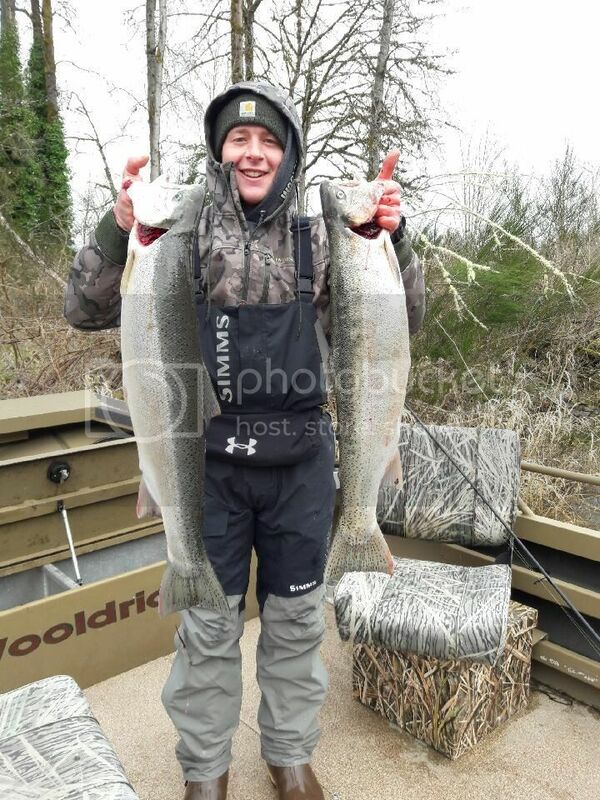 This #action went down on the #Cowlitzriver yesterday out of Wally's 20' #Alaskan #XL. Customer from North Carolina hooked this nice 35lb Flathead Catfish yesterday! Nice going Mac!! Another Wooldridge 17' XL shines! Not only is the 17' Alaskan XL becoming more popular these days but we've been receiving some great pictures of success from the river! 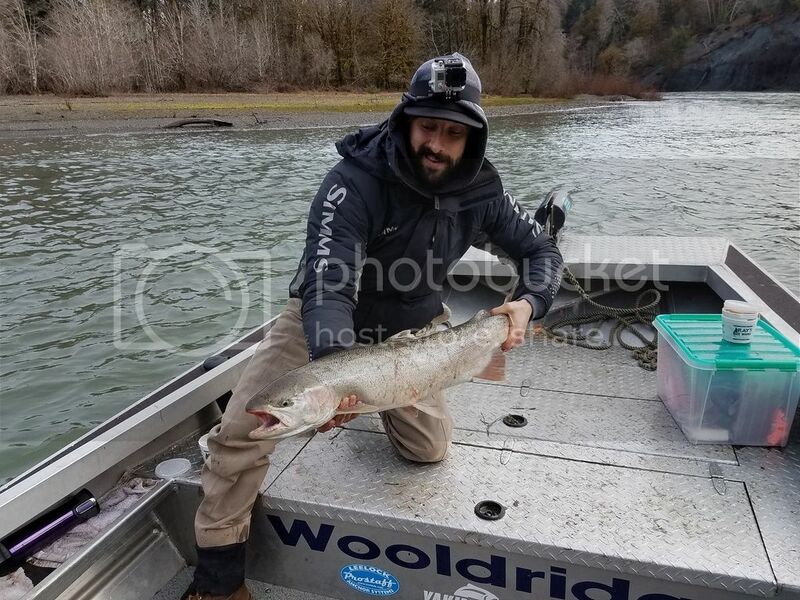 Here Conner shows off another nice steely from the Cowlitz River in southern Washington while fishing from his family's new XL. 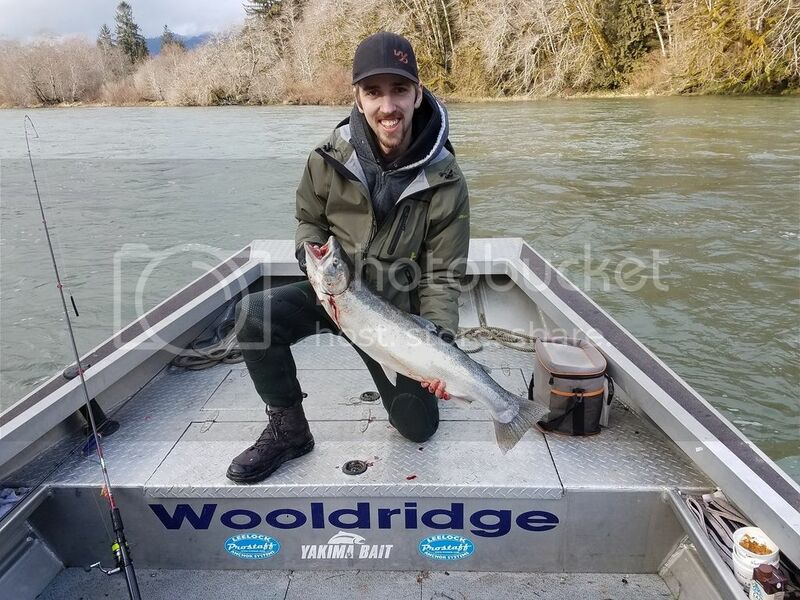 This kid's a fishing machine so maybe we should say, Conner shines with another great steelhead! Few more pics to show off their set-up too! Way to go Conner and keep em' coming! Great job to the girls for showing pops the ropes! Customer sent us some photos of a couple of recent trips including his season opener on Lake Crowley. Some great fishing weather only made better by getting 12 fish in the boat including one monster cutthroat and these beautiful Vermillion! Nice going John! 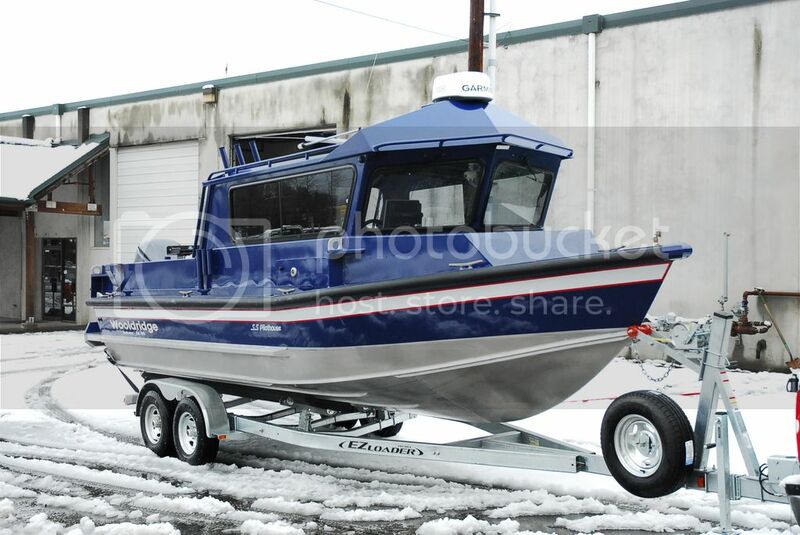 John runs a 21’ Pilothouse powered by a Mercury 150. Last weekend Wayne and Richard cleaning up springers on Drano Lake here in Washington. Lots of boats Lots of fish, including this beautiful 18 pounder! 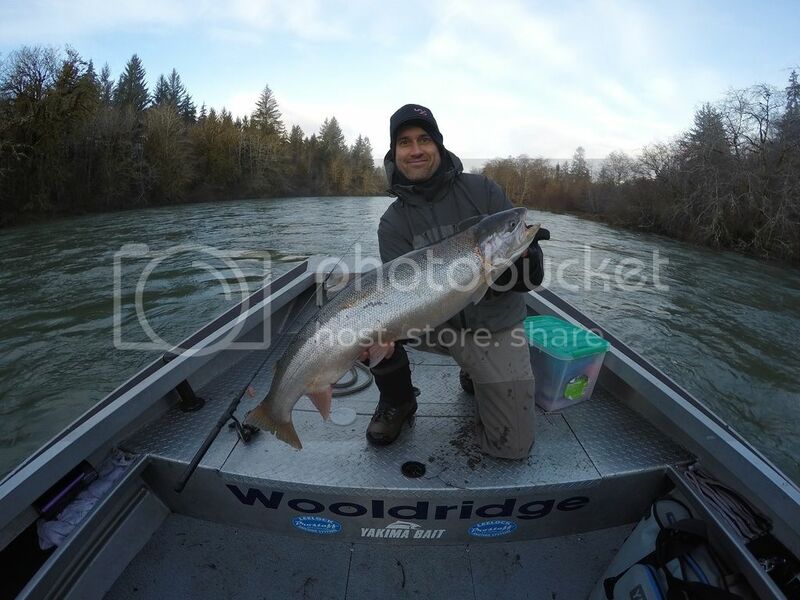 Captain Cook and Statton and friends, getting some mint bright hatchery kings on the Skykomish River last week! The boys were fishing out of a 17' Alasken XL. Spotted in the wild, 24' Super Sport Offshore Pilothouse returning from a beautiful morning out on Puget Sound! Powered by twin Yamaha Outboards this boat has enough power and reliability to go wherever your adventures lead. Its always great to get pictures and feedback from customers! 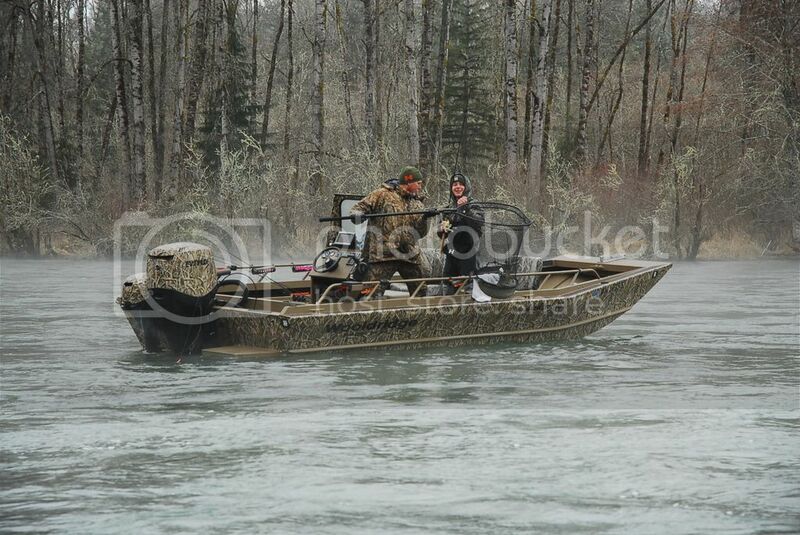 Jeff from Alaska sent us these pictures of him and his family out fishing in his Alaskan XL. I wanted to let you all know how much I have enjoyed my new Alaskan XL. I have been to a few rivers this year and had a few firsts for the family. I have some photos for you guys. We have been up the Salcha River, Chatineka River, Chena River, Birch Lake, Quarts Lake, and the Delta Clear Water. Here is my wife with her first pike. Caught on the Chatanika River. She also got her first grayling of the the season when my daughter got hers. Thanks for building such good and hardworking boats. We will continue to use and cherish the boat for years to come and memories we make in it. Thanks again for your family's hard work. 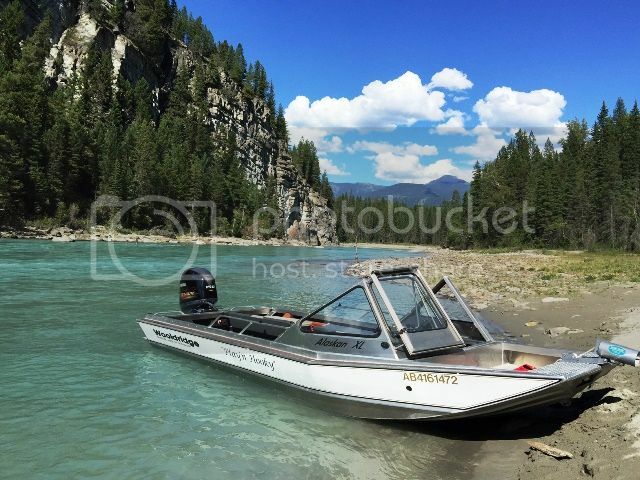 Customer sent us this beautiful shot of his 1998 Wooldridge Alaskan resting easy on the banks of the Upper Pitt River. Looks beautiful up there! Last weekend on the Yentna River in Alaska. Few years back Scott sent us a photo of him celebrating 20 years of adventures with his Wooldridge boat. Just recently he showed us his son showing his grandson the river on his Wooldridge boat. Three generations running the Deschutes River. Rob from #British #Columbia #Canada just sent us this awesome photo of him fighting a #fly #caught #rainbow in a seldom fished locale! All the talk about #salmon and #steelhead yet, there are other great #opportunities to be had in larger rivers in some folks' back yard... just gotta have a #jet boat to get there of course. 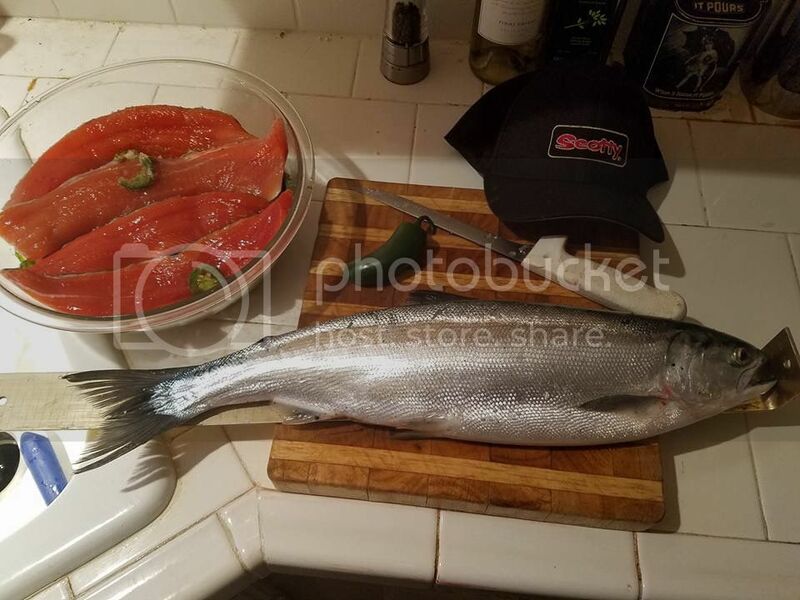 ;) Rob had us design his perfect #Thompson #River #trout chasing #boat a few months ago and he's super happy with the results thus far, especially for #navigating in such a big river. 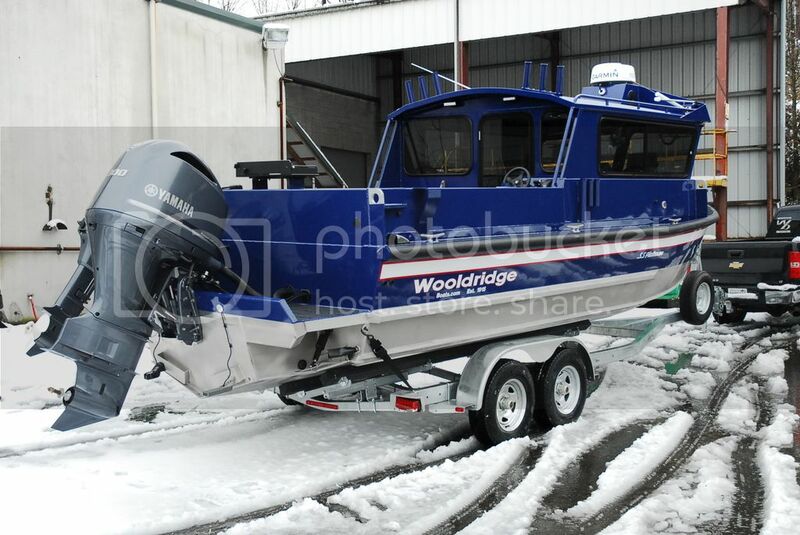 It's a #Wooldridge 17'10" #Alaskan XL center console model powered by the 115/80 #jet #Mercury 4-stroke outboard. Great #photo Rob and we always appreciate shots like these folks! 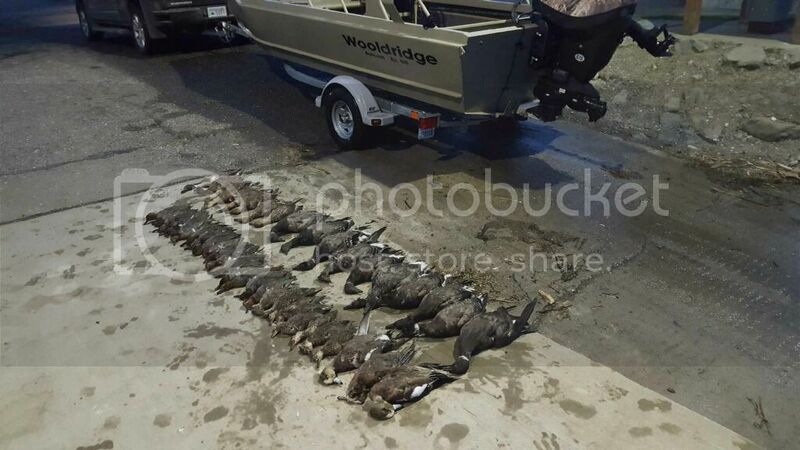 We love getting photos from our customers out doing what they with their Wooldridge boats! Customers Kevin and his wife Deb sent in these photos from fishing the Saginaw Bay on Lake Huron. Located in Michigan, right on the US/Canadian border Lake Huron is one of the 5 Great Lakes and is known for its treacherous weather but also its great fishing, as we can see!